Posted on December 10, 2018 at 09:36. This article will explore building geo-distributed applications, with a particular focus on using NewSQL databases. If you can endure some theory, you will be richly awarded in the end with sample code to run your WordPress-powered blog or CMS across three (!) 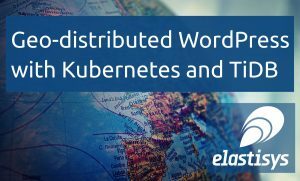 Kubernetes clusters in three (!) different geographical regions. Posted on November 26, 2018 at 13:59. It’s that time of year again! The holiday shopping season has taken off like a rocket, with an estimated 6.5 billion SEK in sales during Black Friday alone. Swedish e-commerce made record sales again, but still, the cost of poor performance is far too high. 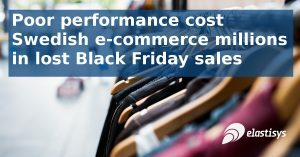 Our measurements from 2018 and facts from Amazon about the impact of performance on e-commerce show that more than 260 million SEK in potential sales were lost. For no good reason. Read what you can do about it below.